South of Salt Lake City is the city of Sandy, Utah—home of Big Bear Park. With beautiful views of the Rocky Mountains, it's the perfect place to relax with family and friends. With the new custom playground it's also the perfect place to have lots of fun! PlayWorx combined standard playground equipment like a play system, swings, and a zipline with a configuration of custom nets and themed bear climbers to create a unique play experience. Sitka is a lovely fishing village in Southeast Alaska. This bayside park experiences nearly 250 days of precipitation each year, but that doesn’t dampen the spirits of children who play at the new custom, inclusive playground at Crescent Harbor Park. 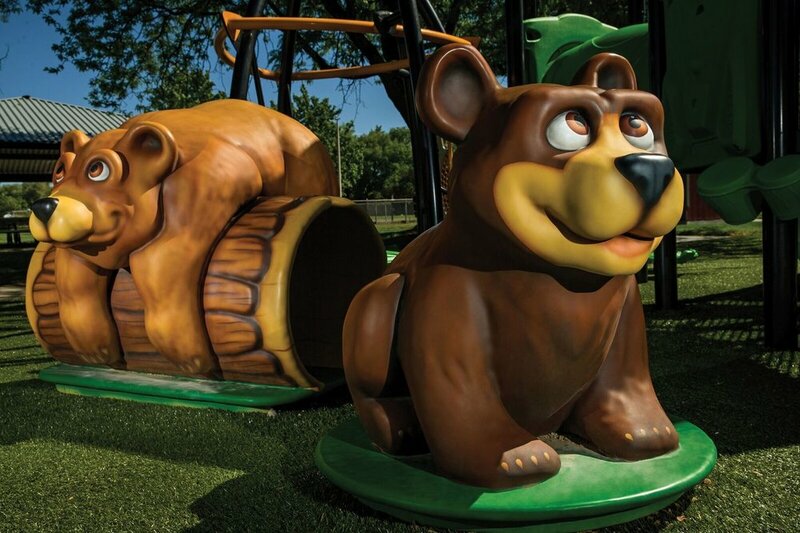 Designed by landscape architect Monique Anderson, along with SiteLines Park & Playground–GameTime's exclusive representative in Alaska–the play area features inclusive activities for children of all abilities. It also includes themed play sculptures, play systems and spring riders to create a fun and authentic play experience for visitors and locals, alike. No matter the location, GameTime’s custom play designers can help brighten your play day! Me and the Bee is a multigenerational education and play experience at the Smithsonian National Zoo in Washington, DC. GameTime designed and installed the project, including the giant flower garden, bee climbers, honeycomb steppers, hollow logs, giant trees and much more. Children can explore the habitat of a bee and learn about their role in the environment from educational signage as they climb, explore and play throughout the expansive custom play space. 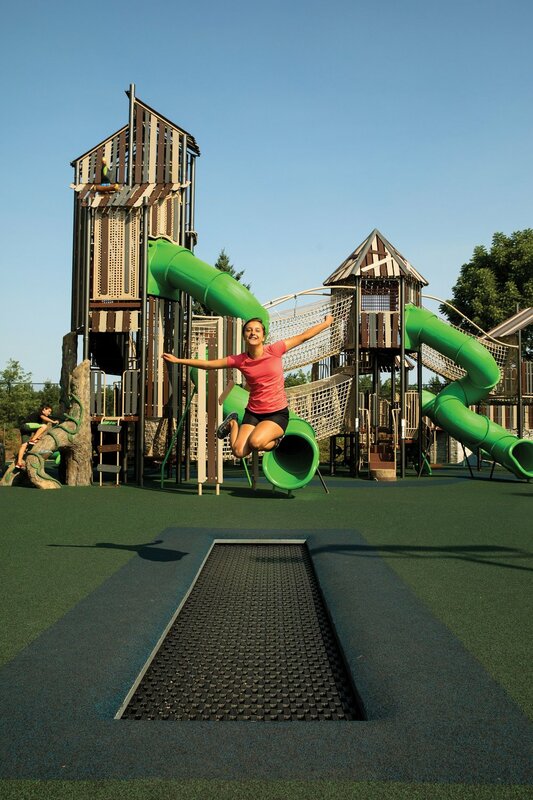 Children climb, slide and jump in this sprawling wonderland of play. Located next to West Chicago Parks popular Toucan Splash Water Park, Toucan Hideaway is an inclusive themed playground that encourages children and families to enjoy play year-round. Timbers towers provide a Toucan’s eye view of the play area and net climber tunnels connect the various areas for exploration and discovery. The entire play space features accessible poured rubber surfacing and the custom in-ground trampoline has children jumping for joy! For more information, visit https://www.gametime.com.